­When we came back from China with our two year old daughter we turned our tiny downstairs office into a playroom. But before long her toys, games, crafting materials and other bits and bobs filled up most of the space. This only got worse when our Little Man arrived on the scene and some days it was all we could do to get in the door, let alone have space to actually play! 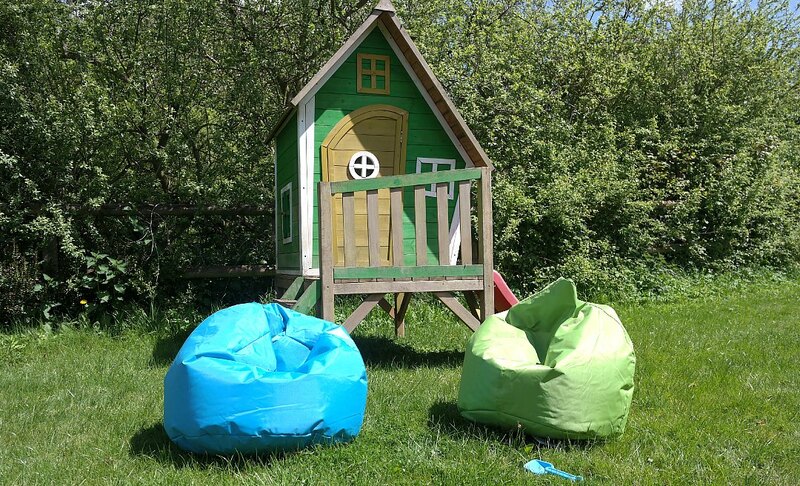 One of the reasons we moved to The Barn was the amount of extra space it gives us – both inside and out – and thankfully there is an large playroom with space for all their toys and I’m enjoying turning it into a fun place to play. 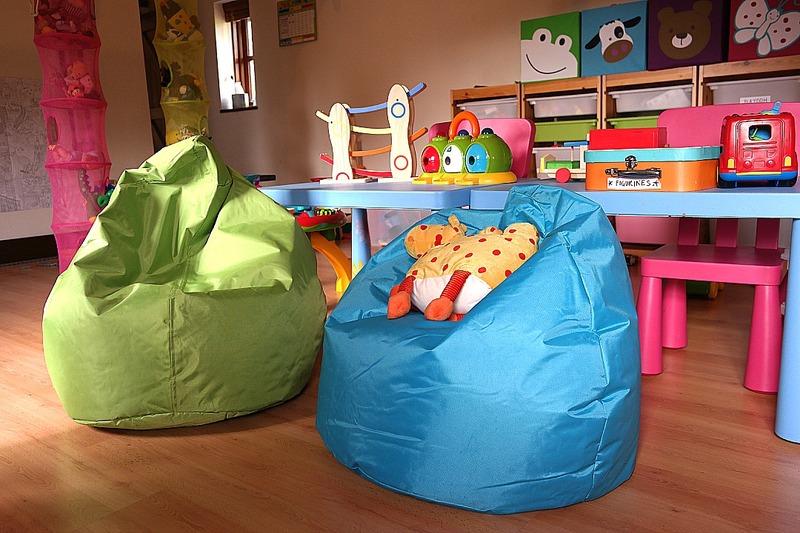 Playrooms, like most of our interior spaces these days, need to be flexible. This means thinking about furnishings that are fun to look at, but ultimately practical. 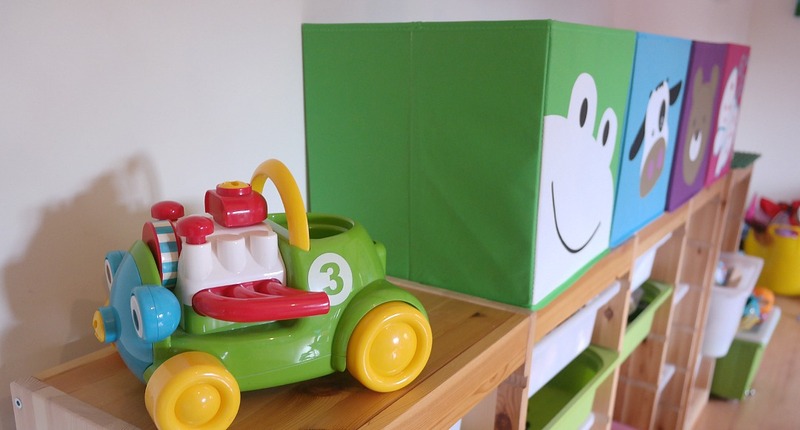 Chalkboard wall stickers that can be written on and personalised, robust wooden toy boxes that offer generous storage, and moveable furniture mounted on wheels, all have a place in the contemporary playroom. It’s also worth giving your colour scheme some serious thought – studies have shown that warm colours like yellows and oranges are associated with activity and happiness, while cooler blues and greens are more calming. 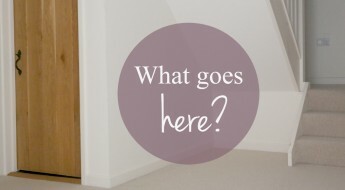 So with these things in mind I’ve put together some ideas that might be helpful if you’re planning your own playroom makeover. Colour can have such a big impact on mood and I’ve been keen to keep the colour palette bright and cheerful with three main colours – turquoise, lime and pink. If you’re designing a room on a budget it’s a good idea to focus your colour scheme on the biggest item you have so I based my colour choice on the IKEA storage we brought with us to The Barn and tied everything else into that. 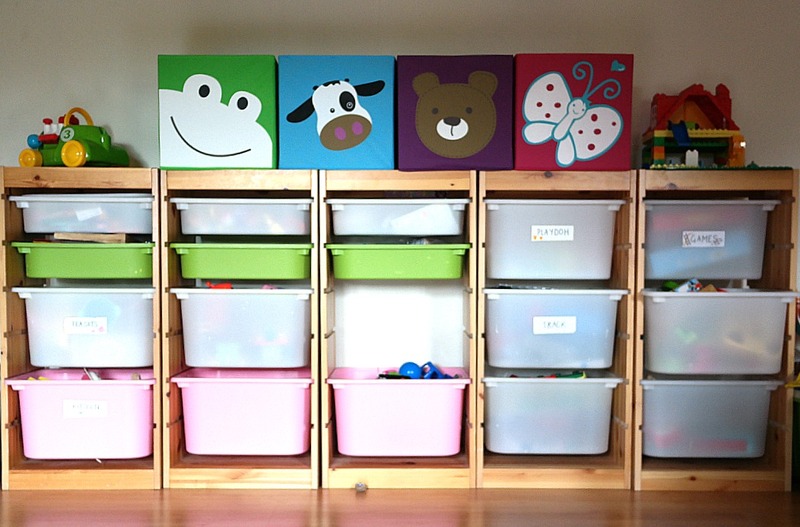 A vital part of any playroom is somewhere to tidy away the toys and we use these simple and inexpensive Trofast units from Ikea that can be mixed and matched with drawers and shelves. We also have two Ikea Billy bookcases that are quite tall and useful for popping more fragile toys or keepsakes out of harms way. I labelled each of the drawers in the main unit with words and pictures to make tidying up easier and the pictures mean that even our two-and-a-half year knows where things go. Some of the labels peeled off in our move to The Barn but this Summer I’m going to upscale this by sticking velcro onto the drawers and making laminated labels that I can move around as our storage needs change. I’m a big fan of zoning, with areas for active play and quiet time. 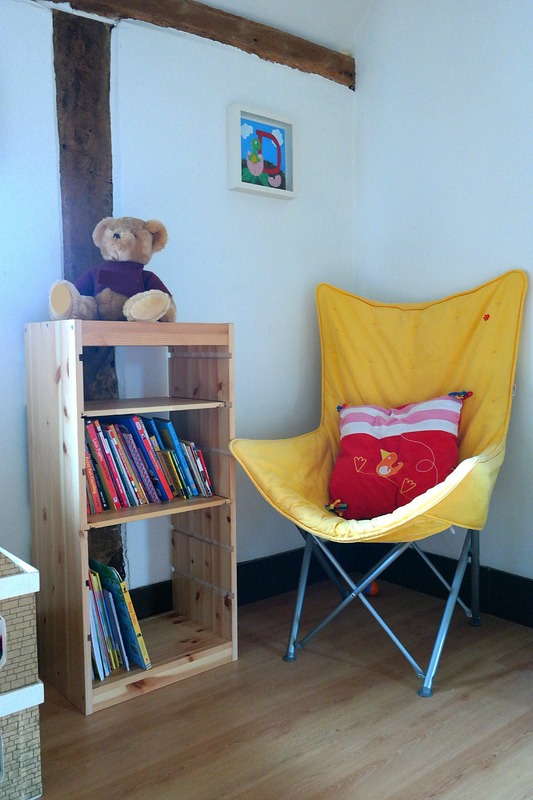 I’ve started creating a reading corner with this bright yellow bucket seat and a shelf unit for books. I want to screen it off somehow and add more shelves over time as both my two are keen readers and we still have boxes full of books that need a home. We also have a dedicated train table (we’re big Thomas fans), a dressing up corner, a car park for ride-on toys, a comfy DVD area and two play tables. 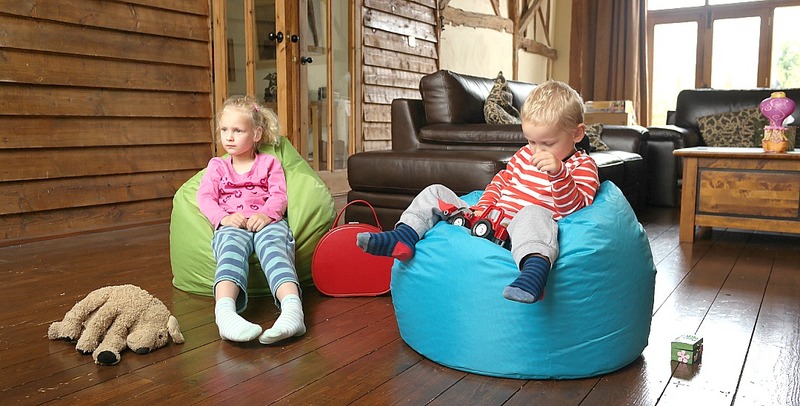 When the kids are ready for some R&R we pop a DVD on and snuggle up on these fab bean bags gifted to us by Bean Bag Bazaar. 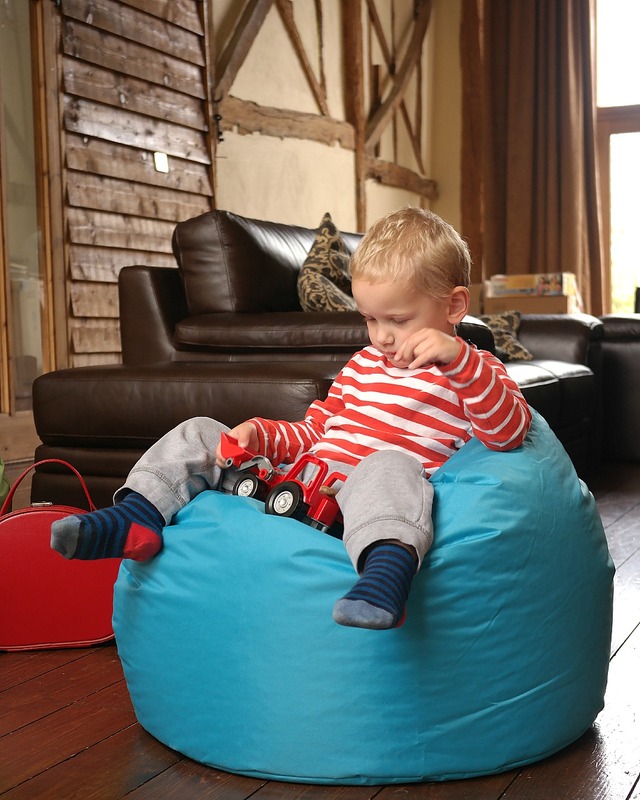 Our six year old loves the lime Kids Highback Pod which has a higher back than the aqua Classic Bean Bag and they’re both comfy enough for me to sink into too. 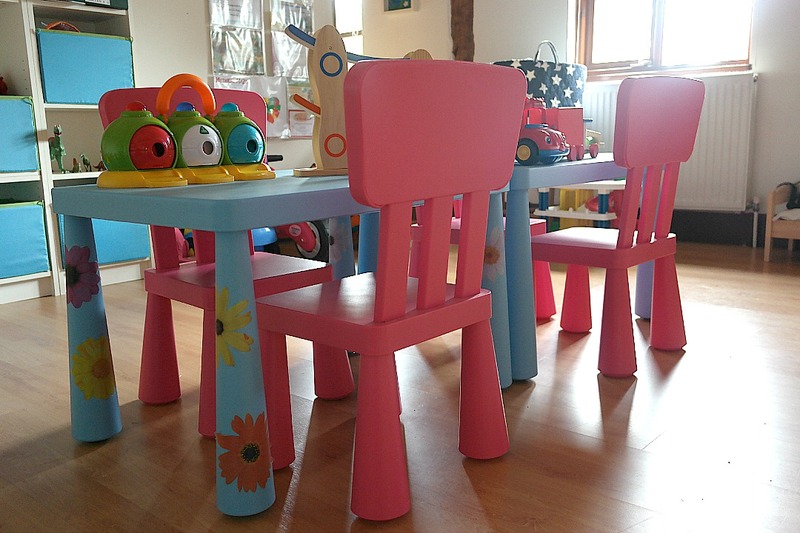 The colours work perfectly with the playroom scheme too. 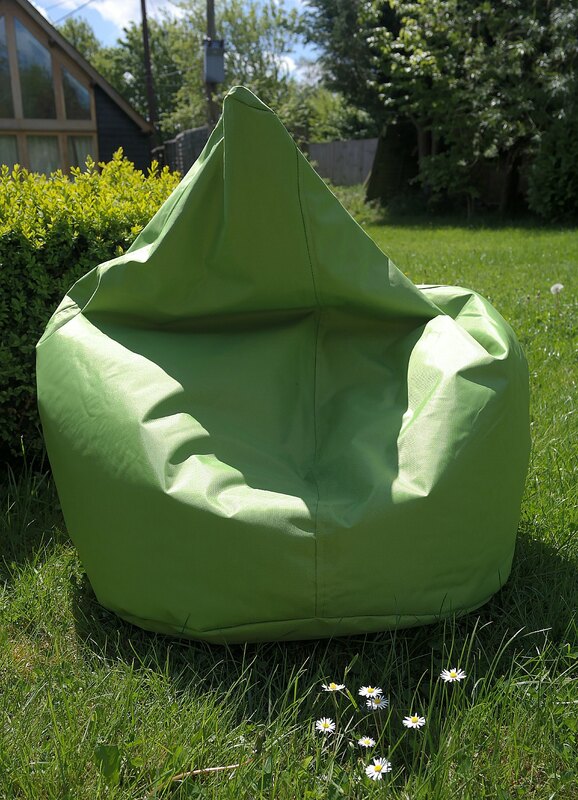 Of course seating like this is very portable which has seen them move around the house everywhere from our glass gallery to the main barn and even outside in the garden. Thankfully they’re waterproof and very rugged with strong canvas material that’s also easy to wipe clean. 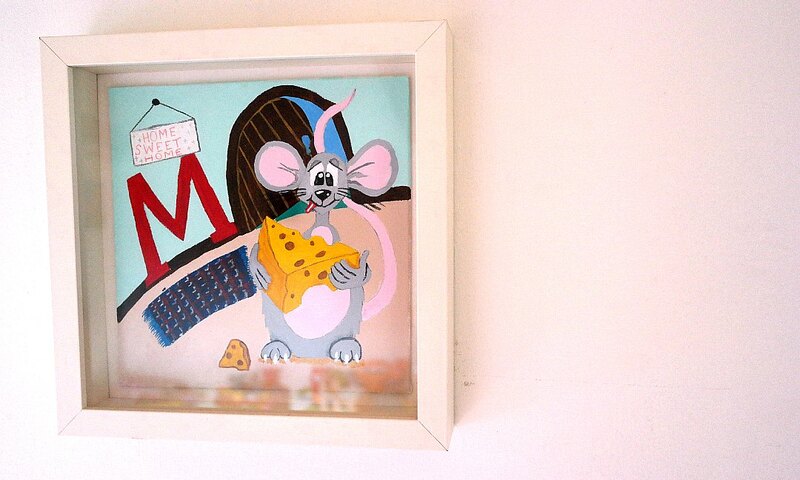 Our daughter LOVES making things and enjoys nothing better than seeing her works of art on display. 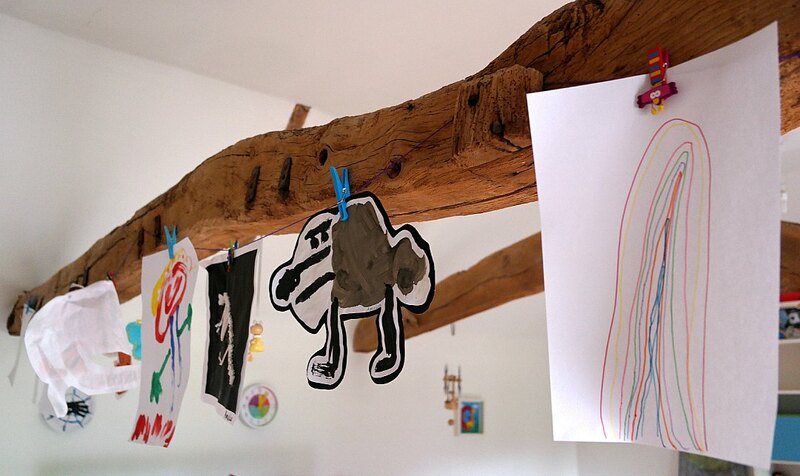 Rather than using Blu-Tack on the walls as I did at our old house (I’ve found that over time the oil in the tack leaves a stain) I’ve made her a simple hanging gallery with some coloured string and pegs attached to the beams. It’s a great way to showcase her paintings and drawings and the simple, fun mark-making that our toddler is starting to do. 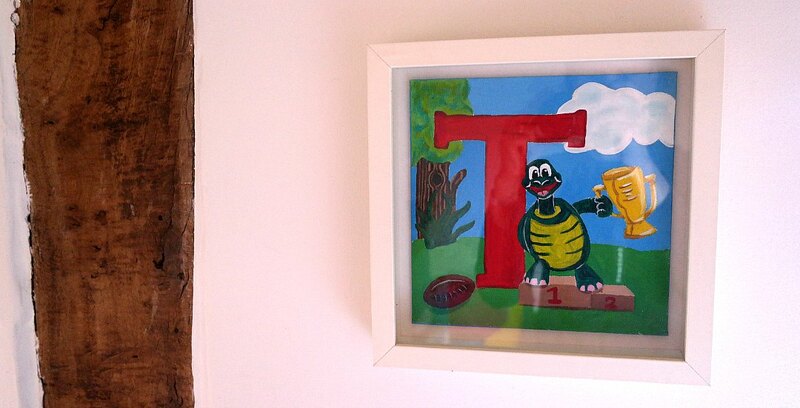 It’s the little touches that can add some pizazz or fun to a playroom and I’ve had fun pulling together some pieces over time that now have a home at The Barn. 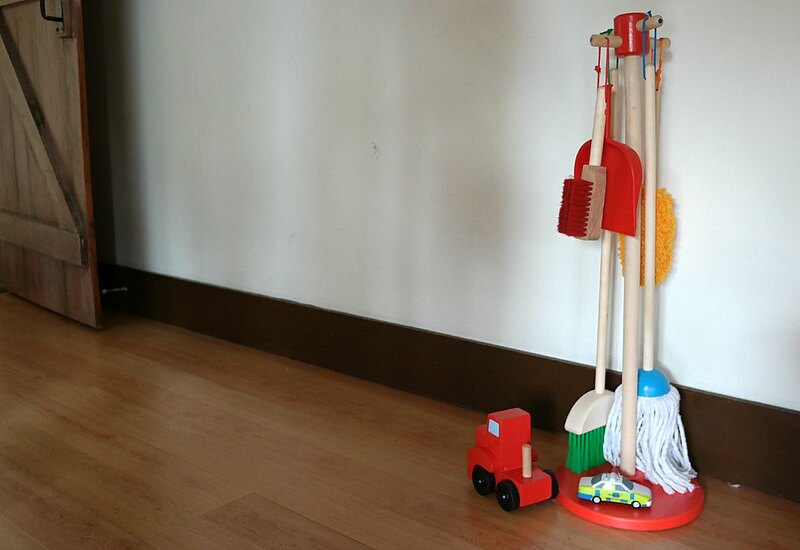 This Melissa and Doug cleaning set replicates on that our Little Man uses at nursery and is a great way to get kids to start mopping up their own messes! 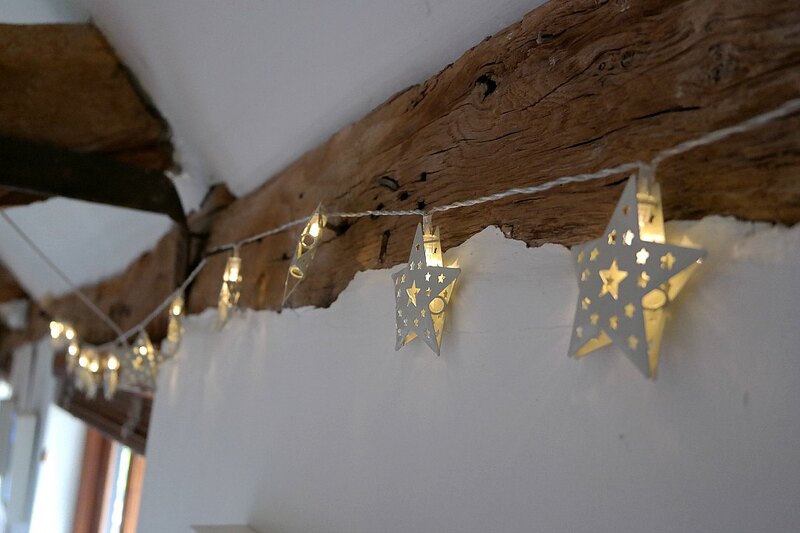 I’ve also added some sparkle with these battery powered stars and some fun letters that I painted for the nursery when we lived in Shanghai. 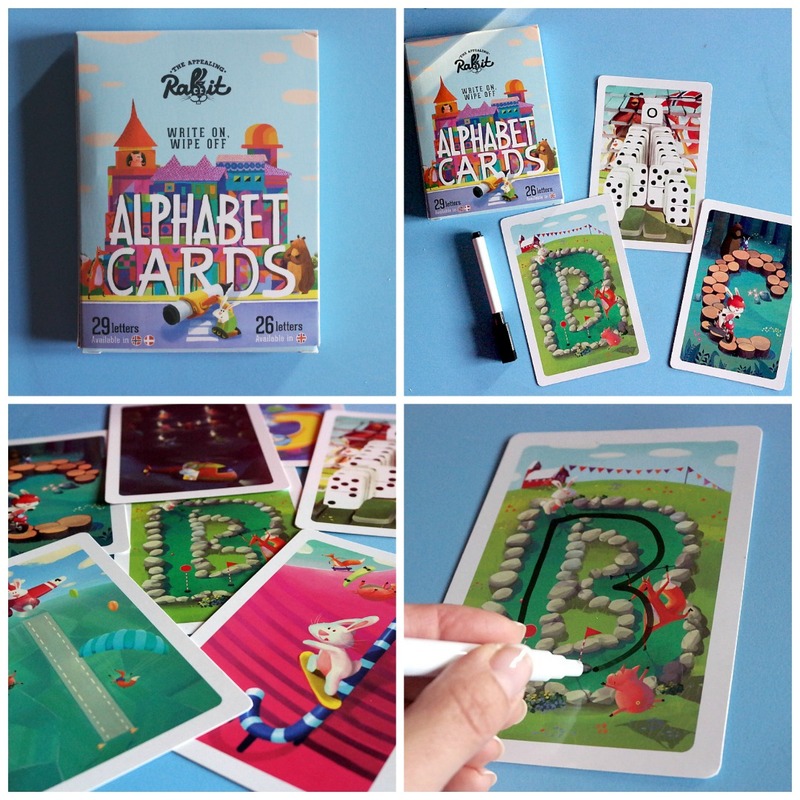 I love bright and colourful toys and games like these write-on wipe-off alphabet cards from The Appealing Rabbit which are great as flashcards for teaching the toddler his alphabet and will be such fun when he starts leaning to write letters. It’s been lots of fun planning and creating the playroom but I’ve kept myself to a budget as I know that it’s going to be a room that has to flex and adapt over time as our children grow and their needs change. I’d also like to do more recycling and upcycling over time after being inspired by the fabulous pictures of the work by Grillo Design on Facebook. But for now it’s time to enjoy the wonderful space we have… let’s play! What would be in your ultimate playroom? 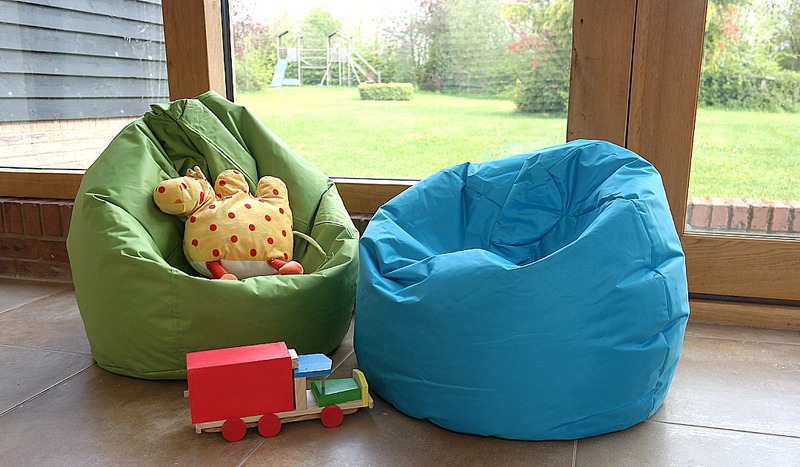 Have you done a play space makeover? I’d love to hear about it in the comments. Love this post – there are some fab ideas. I like the idea of having a separate ‘quiet area’ zone. It’s amazing!! WOW! 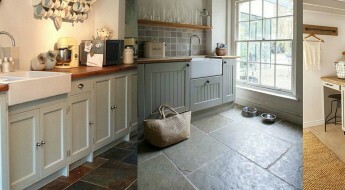 What a fab space and so practical too. Love the bright colours, you really have made it so inviting for the children. I have now got a playroom in this new house, which is a good sized room, and so this has inspired me. Love the peg line for all the crafts!! Thanks so much for linking up! Thanks Caroline, we love it too. Bought a new rug for the floor yesterday and it feels a bit cosier now which is great! 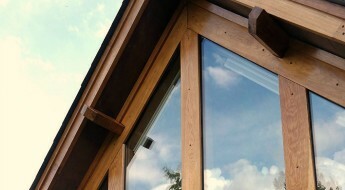 Wow this is a fab playroom!! You are so lucky to have such a great space- it is exactly how I would plan a room! Thanks Katy! We’re really blessed with this space. There’s still a lot I want to do with it but for this Summer – it’s play central!